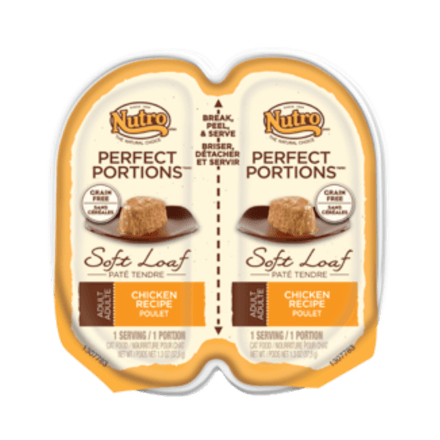 NUTROTM Weight Management Adult Dry Cat Food Chicken & Whole Brown Rice Recipe cuts unneeded calories without cutting nutritional benefits. Created specifically for overweight cats, our premium weight management cat food features real chicken as the #1 ingredient to promote strong muscles and lean body mass. Additionally, whole grain fibre helps cats feel full longer, which can play a role in helping cats reach their ideal weight. Cats naturally prefer what’s best for them. NUTRO™ Cat Food contains high quality protein and wholesome ingredients for superb taste and nutrition. 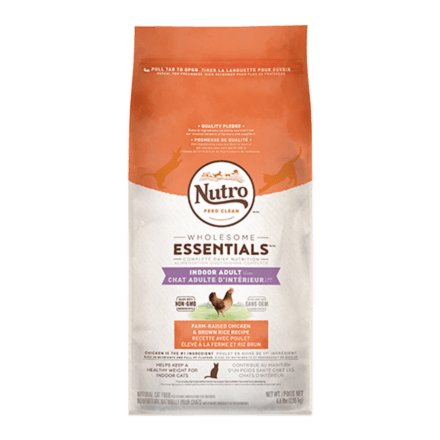 Each NUTRO™ WHOLESOME ESSENTIAL™ DRY CAT recipe is clean and made with non-GMO ingredients†. ‡Use a standard 8 oz. (250 ml) measuring cup, which holds 3.05 oz. 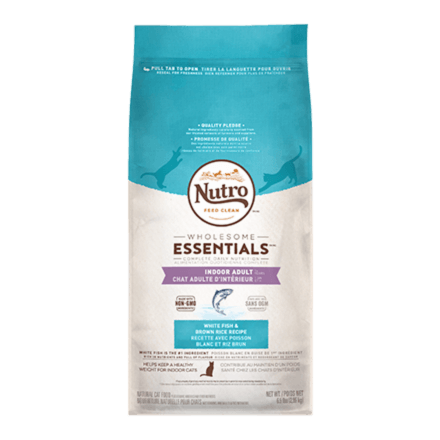 (86.5 g) of NUTRO™ WHOLESOME ESSENTIALS™ Weight Management Adult Cat Chicken & Whole Brown Rice Recipe Dry Cat Food. 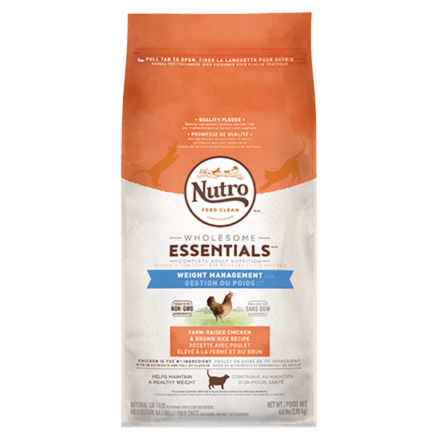 NUTRO™ WHOLESOME ESSENTIALS™ Weight Management Adult Cat Chicken & Whole Brown Rice Recipe Dry Cat Food is formulated to meet the nutritional levels established by the AAFCO Cat Food Nutrient Profiles for maintenance.